My worms had a ton of babies this year (I’ll try to get a better photo of them later as you can barely see them). I moved their bin into the garage so the cold wouldn’t kill them off this winter. I know that sounds ridiculous as worms have survived on Earth without human help for millions of years however the bin prevents them from being able to get deep enough in the soil to stay alive during winter. 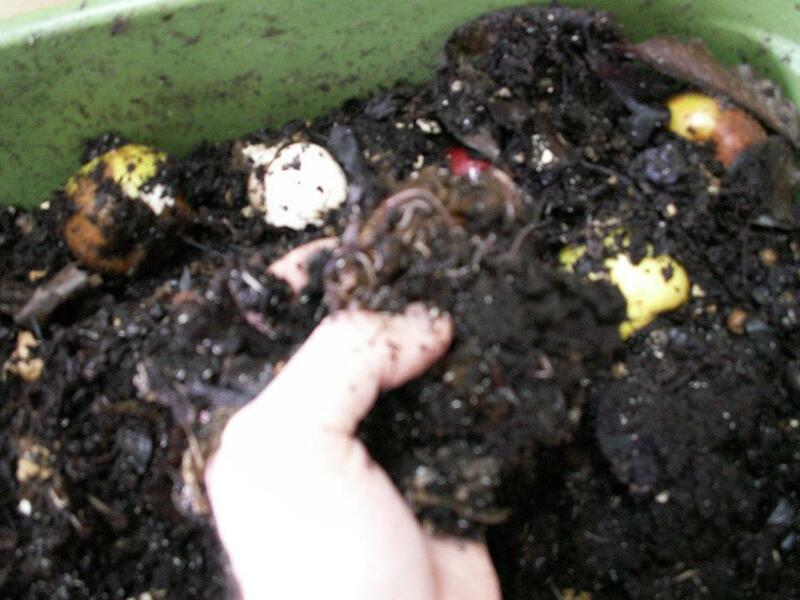 The worms have been eating my food scraps for the past year and turning them into a nice loamy soil that I will use in my garden in the spring.